. :: HORSES & HOPES; A GRAND FESTIVAL! ::. >> HORSES & HOPES; A GRAND FESTIVAL! 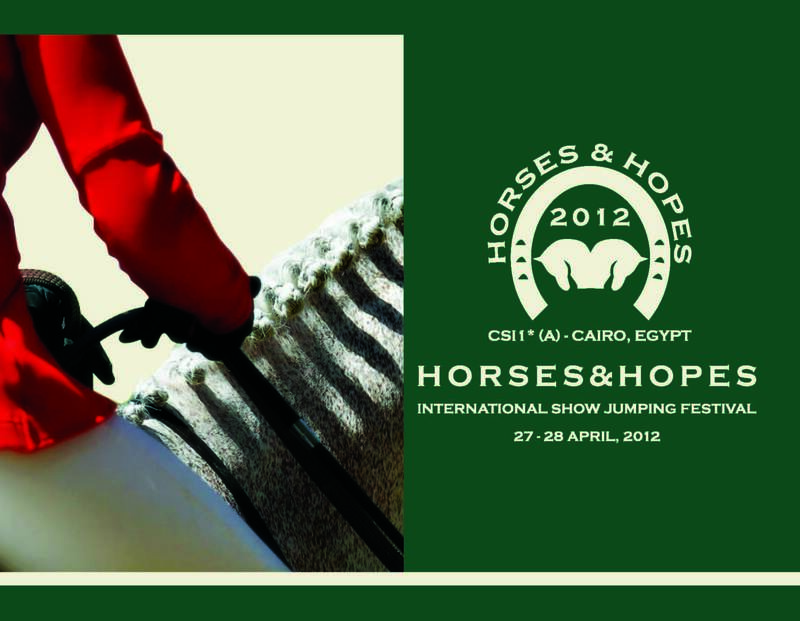 On April 27th and 28th, the renowned Ferosia Club in the island of Zamalek in Cairo will be hosting a grand event: CSI *(A)-Cairo HORSES & HOPES International Show Jumping Festival. In parallel with the show jumping competitions that include the Small Tour, Big Tour, Small Grand Prix, Big Grand Prix, 6 Bar Competition and a JUMP & DRIVE class, a Fashion Show as well as Children’s Motivational Workshops will take place. Organised and hosted by SMI (Sports Marketing International), the Festival is approved by the FEI and the Egyptian Equestrian Federation. The Ferosia Club, established in 1938, is a cradle for equestrian sport in Egypt as it is the club that has witnessed the birth of riders who have performed and shined on the international and Olympic show jumping scene. It was primarily chosen to hold the HORSES & HOPES for its strategic location in terms of equestrian ground facilities, central setting, and parking capacity. Twelve international foreign riders have accepted HORSE TIMES Magazine’s invitation to attend and participate in HORSES & HOPES: France’s Alexandra Ledermann and Tony Hanquinquant, Kuwait’s Ali Al Khorafi, Saudi’s Fahad Al Eid, Lebanon’s Karim Fares, Spain’s Manuel Fernandez Saro, Portugal’s Miguel Bravo, Holland’s Tom Martens who rides for STEPHEX Stables, Nuri Dijks, Davy Meijers and Sjaak van der Lei, and Jordan’s Saeed Aboura.